Today and in the outback information systems are equipped with ambulances. Many patients can say thank you to you. A call to a woman in the center of Chernigovka. Severe condition and a suspicion of a heart attack. For urgent resuscitation and diagnosis of a paramedic - apparatus for indirect cardiac massage, tele- electrocardiogram. This machine with telemedicine capabilities appeared in the rural ambulance last year and helped many people. It is enough to press the button, and the film with the cardiogram immediately send to the doctors of the regional center even from a remote village. If only cellular communication was available, medical assistants say! In cardiology advanced therapy also helps to save patients' health. Thrombolysis, or thrombus dissolution in the vascular bed, is a method that from 2015 gives people a chance to avoid disability and even death. Cooperation with Vladivostok doctors of a narrow profile for rural doctors is very compulsory practice. It realized according to the program "Development of Information Technologies in Health Care". 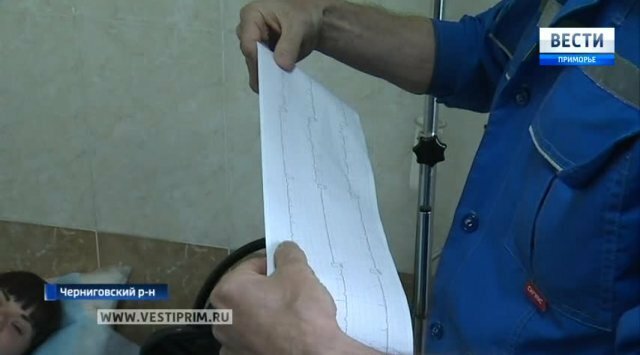 And this time the advice of the leading cardiologist of the Primorye capital saved one more patient.